Enjoy the best inspirational, motivational, positive, funny and famous quotes by Andrea Fay Friedman. Use words and picture quotations to push forward and inspire you keep going in life! 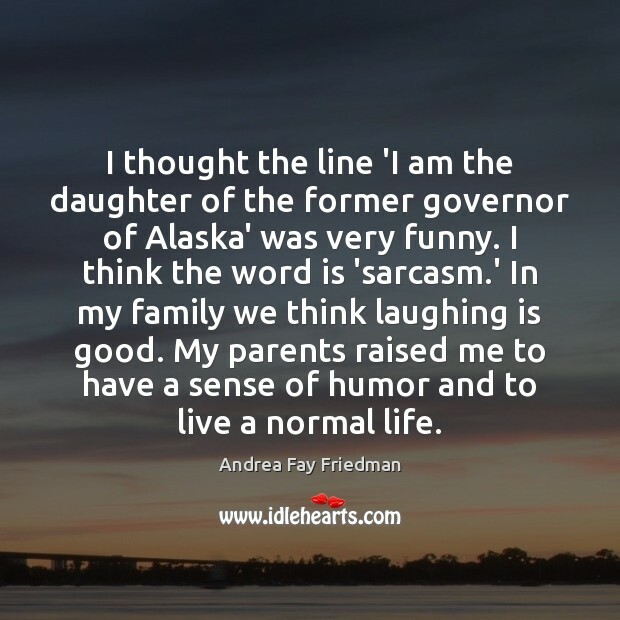 I thought the line 'I am the daughter of the former governor of Alaska' was very funny. I think the word is 'sarcasm.' In my family we think laughing is good. My parents raised me to have a sense of humor and to live a normal life. 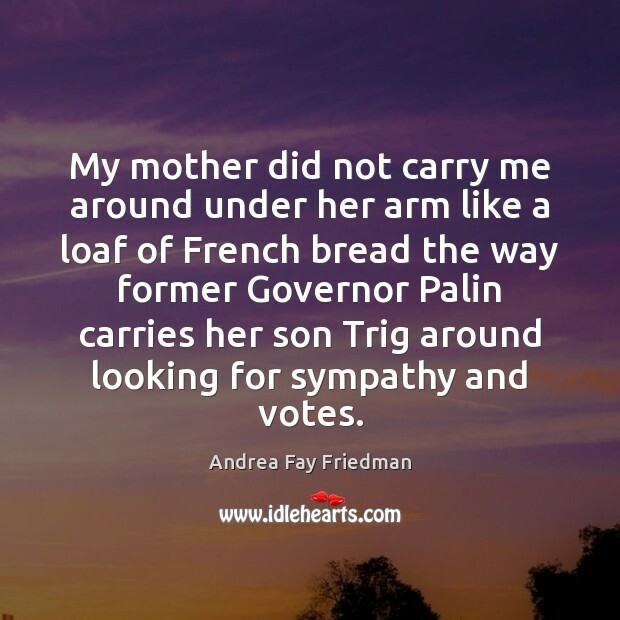 My mother did not carry me around under her arm like a loaf of French bread the way former Governor Palin carries her son Trig around looking for sympathy and votes.